Break and wash the fresh Meethi leaves or Fenugreek leaves and chop it finely. Take a bowl add wheat flour,, turmeric powder , methi leaves , ajwan , garlic paste , garam masala oil to make softener and salt to taste . Mix all the ingredient well and add some water to make a hard dough. Keep the dough aside for 15-20 minutes. Heat up a pan or tava , Take a chucks from the dough and make a parathe of of 5- 6 inch diameter with the help of roller. Put the paratha in pan or tava cook it with the help of little oil or ghee from both the side till turns into brown. 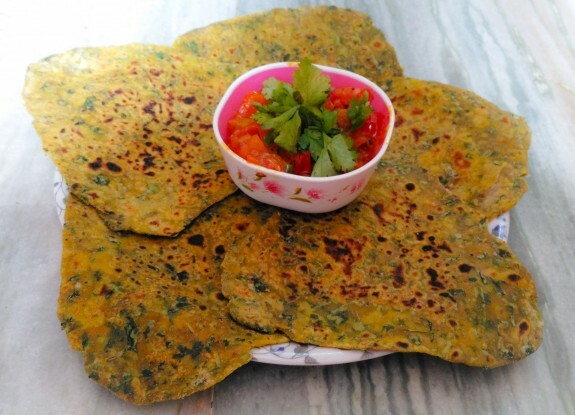 Now serve the crispy and healthy meethi ka paratha with green chutney or sauce.